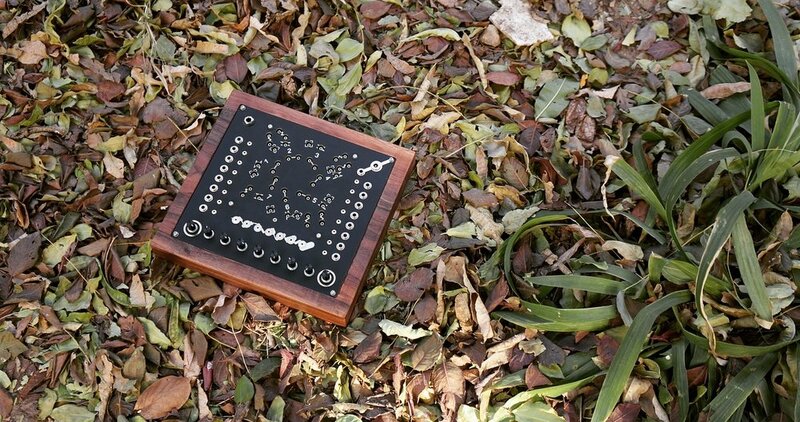 The “Electronic Expression” way of electronic musical instrument interface design, is not to consider sound parameters, but to think from the angle of circuit interference. It may result in a complex change on a combination of sound parameters, and very expressive reactions can be found. This method has a lot to do with circuit instability, touch and feedback. by touching selected nodes from circuit, new connections are made, circuits behaviors are also affected. 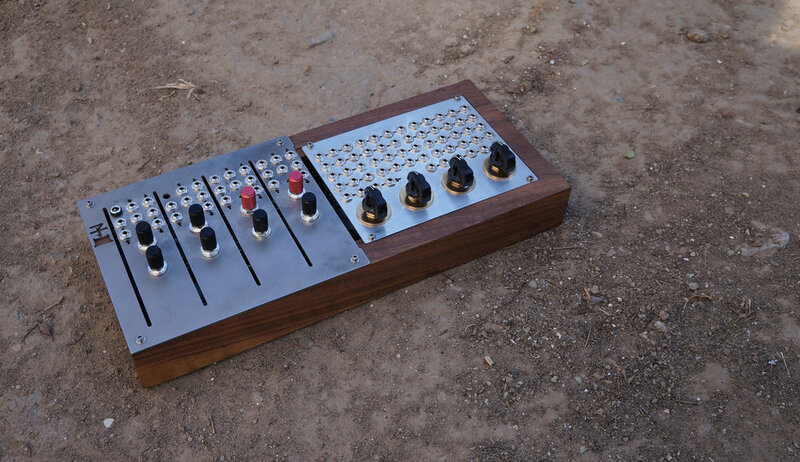 Synth pioneer Peter B created the sandrode concept - androgynous nodes that are neither input nor output, but perform both functions at different times. 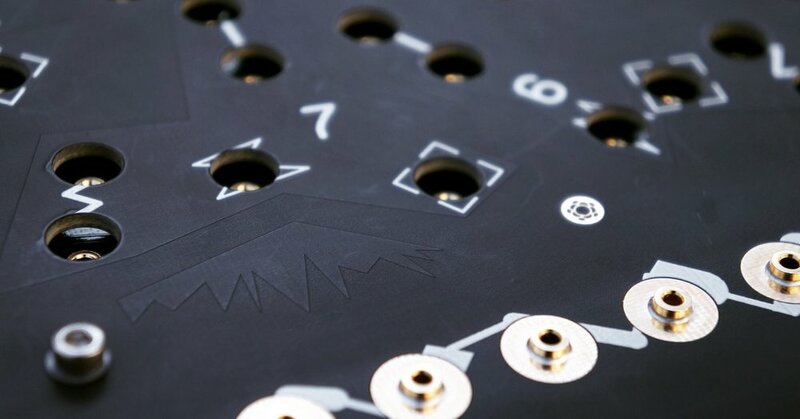 They are actually selected raw nodes from circuits, each time they are touched / patched, it effectively create a new circuit, and most of the time it would affect many aspects of sound. At the same time as sandrodes are unprotected, raw nodes, it's highly possible to destroy components by combining units. I look forward that more self-contained units using this method would be available to the public. this combination of 5-rolz circuits and a sidrax emerged from my former experimentation with sidrolz and tetrolz instruments. that if a sandrode is patched to a piezo input via a resistor and a capacitor, it can stay silent until a sandrode is touched. all sandrodes are available on the panel so they can be used to modulate pitch and timber. also they are normalled to control the stereo VCA for each voice. This setup enables complex parallel voices relationships far more than simple mixing.